Avendus Capital advised Varanasi based Utkarsh Microfinance in raising INR 395 crore from domestic investors. 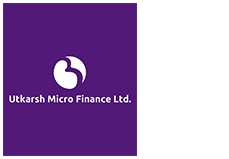 Utkarsh Microfinance has raised INR 395 cr from domestic investors including HDFC Standard Life Insurance, ICICI Prudential Life Insurance, HDFC Ergo General Insurance, RBL, SIDBI, Shriram Life Insurance and private equity funds Faering Capital and Arpwood Investments. Headquartered in Varanasi, Utkarsh Microfinance is engaged in providing microcredit to retail customers across the country. The Company has recently been awarded a Small Finance Bank (SFB) license from the RBI. This capital raise will assist Utkarsh in its transition to a Small Finance Bank. The Company plans to launch its SFB operations by January 2017. Utkarsh Microfinance Ltd. (Utkarsh) was founded in 2009. It is one of the fastest growing Microfinance Institutions with a loan portfolio of ~ INR 1,593 Crore (Q1FY17). It operates in Uttar Pradesh, Bihar, Jharkhand, Maharashtra, Madhya Pradesh, National Capital Region, Uttarakhand, Himachal Pradesh and Haryana. Its primary mode of lending is through the JLG (Joint liability group) model. As a Small Finance Bank, it will offer basic banking services, accepting deposits and lending to unserved and underserved sections including small business units, small and marginal farmers, micro and small industries, and entities in the unorganized sector.